Located South of the strip in the pleasantly removed city of Henderson sits Anthem, a planned community of las vegas luxury homes boasting one of the widest price and size varieties available out of Las Vegas’ luxury neighborhood options. Rather than catering to one type of buyer, Anthem includes both condominiums as well as a plethora of single-family homes. Prices range from 300,000 on the low end and custom estates shoot past 3,000,000. Anthem, and Henderson for that matter, are known as “family-friendly” and offer a cultural removal from the throng of tourists and entertainment Las Vegas offers. This being said, for those working near the strip or outside of Henderson, Anthem is a mere 3 minute drive from the 215. Further ensconcing this development in Nevada’s natural beauty and promoting a tranquil refuge is the wildlife preserve that borders Anthem to the South and East. The McCullough mountain range sits under 5 miles away offering not only boundless outdoor activities, but also a majestic aesthetic to home. While nearly every luxury community around the Las Vegas area sits on or near a golf course, Anthem boasts not only the Anthem Country Club, but also Revere Golf Club. Revere itself encompasses the Lexington and Concord courses, both of which were designed by Billy Casper and Greg Nash. For families, Anthem has 11 parks in the nearby area and along with them comes extensive recreational sport activities for every age group, helping foster the “community” Anthem has worked hard to achieve. The District at Green Valley Ranch and Town Square host shopping and dining options at Anthem’s fingertips and are immediately accessible as a resident, only minutes away. Anthem is broken down into 10 smaller communities, each offering their own set of amenities, view, and home style. The most elite by far are the homes in the gated Anthem Country Club, with a private golf course, tennis courts, a fitness center, and round the clock live security. At a minimum in Anthem Country Clubs, 1,200 square foot homes are available and the largest crest 16,000 square feet. 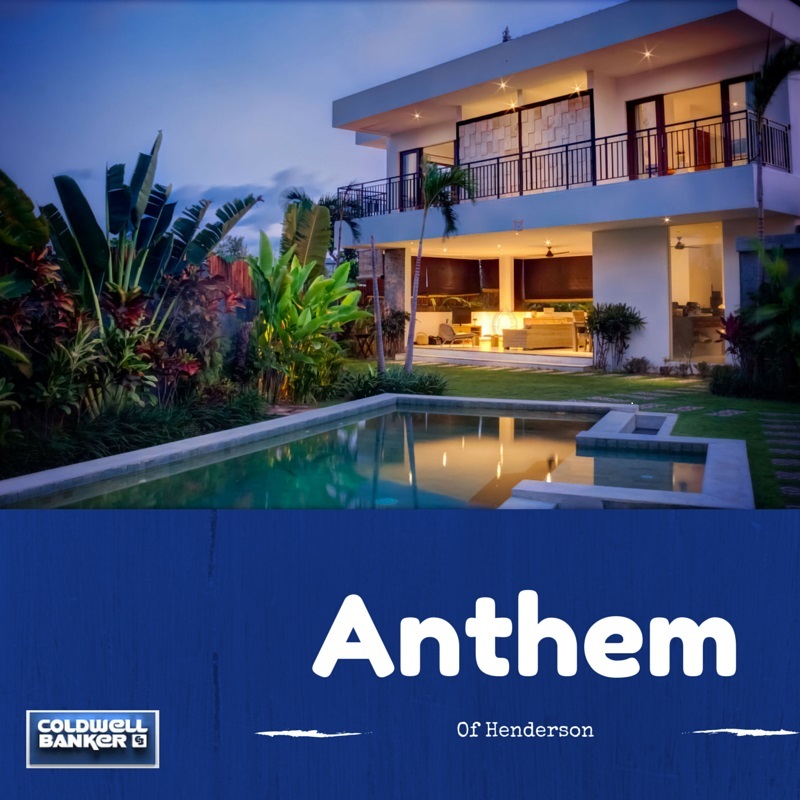 This community within Anthem is by far the most expensive, with the majority of custom luxury homes in Henderson here.